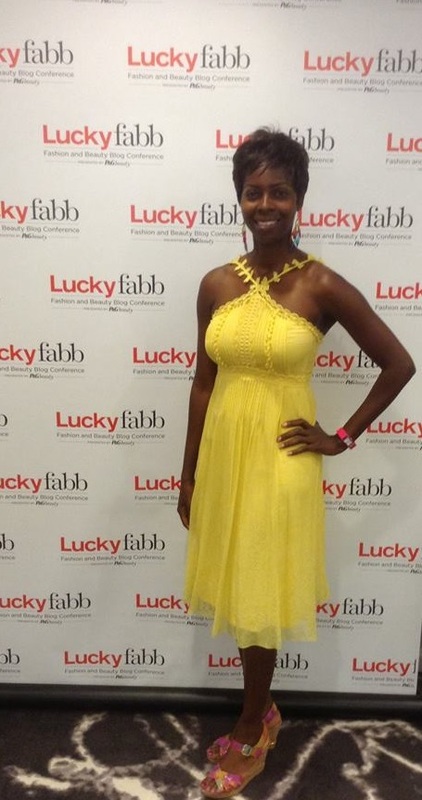 Ready to take on Lucky FABB in my yellow Elie Tahari dress! On April 4th and 5th, I attended the Lucky Magazine’s Fashion and Beauty Blogger Conference at the SLS Hotel in Beverly Hills. It was an amazing 2 days of breakout sessions, fashion and beauty panels, networking, seeing blogger besties and being surrounded by like-minded individuals! Presented by P&G Beauty and Grooming, this conference allowed top influencers to hear from experts in the fashion, beauty and technology industry. Some of the highlights of day one include Eva Chen, Lucky’s Editor-in-Chief sitting down with Nicole Richie, Sophia Amoruso of Nasty Gal and Coco Rocha. First off, lets talk about Eva Chen. This is one classy, down-to-earth woman who knows how to interview others and makes it fun to watch! Her interview with Nicole Richie felt like a conversation in the living room. Richie talked about how her daughter wanted her hair purple, her fruit and vegetable garden and House of Harlow among other things. One thing for sure is that Nicole is doing things her way! Next up was Sophia Amoruso of Nasty Gal. As soon as she stepped out, I was in love with her colorful vintage Nasty Gal dress! The Nasty Gal clothing line is one-of-a kind and it’s exciting to hear that she will be opening a store in LA soon! As a savvy entrepreneur, her advice is stay focused and know your strengths and weaknesses. Also, I’m excited to check out her book, GIRL BOSS! My fave talk of the day was with Coco Rocha. I first knew of her on America’s Next Top Model, and after that her face was everywhere! She is definitely the queen of the perfect facial expressions and it was nice to see her with a short sleek bob – short hair don’t care! Coco Rocha seemed like a person I could chat with over coffee and talk about whatever. She said the best line of the day that I myself follow: “I hate trends. It’s all been done before.” That statement is so true, and it’s awesome to hear a supermodel say that. She just looks forward to warmer weather and less clothing! If there is anything to takeaway from the conference, be yourself and be proud of it. You don’t have the follow the masses on anything – walk to the beat of your own drum! Day two was a day of networking and brunch. I met a lot of lovely bloggers and for the second time attending I definitely felt more at ease and ready to absorb and connect. 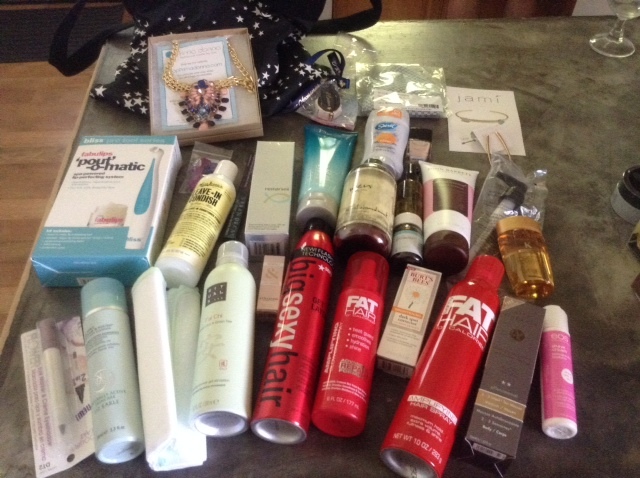 And the swag bag was insane! Lucky Magazine did a fantastic job of putting this conference together and I look forward to what they will come up with next year! Excited to be back again to share more tips with you on planning a successful event! Since I have launched this series, I’ve witnessed things at events where I could definitely share some of the tips I have mentioned thus far, and I’m glad that my readers are enjoying what I have to say! So, what tips do I have for G-I? 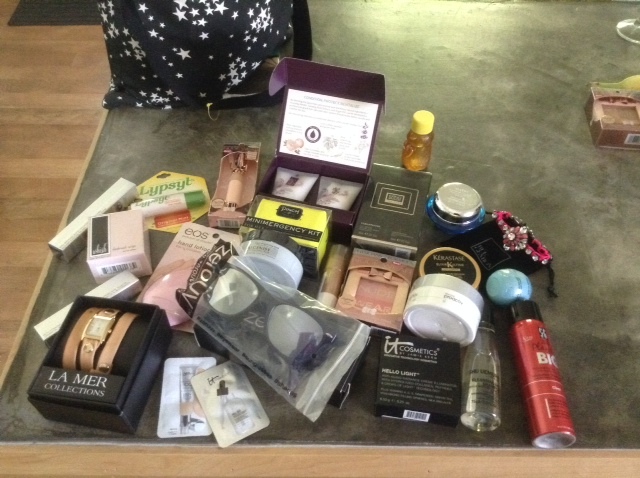 My goody bag from the Night of Beauty event – It was definitely a GREAT bag filled with good things! 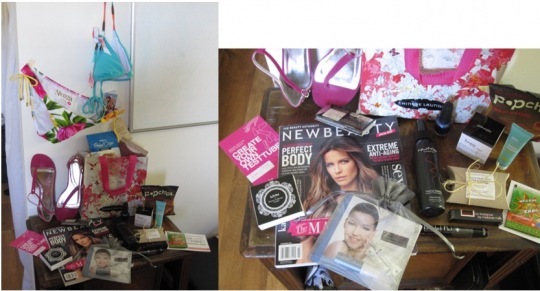 Goody Bags: Goody bags are a great bonus to any event and something that many attendees look forward to. One thing you should make sure of is that there are GOOD or even GREAT things in that bag, especially if I’m paying to be at your event. Putting some coupons, brochures, or flyers in a bag IS NOT a goody bag, it’s an informational kit. Product samples, promotional products, complimentary passes, food and even drinks makes a fab goody bag. 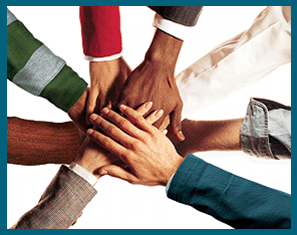 All Hands on Deck – everybody helps out! Hands on Deck: When producing large events, everybody in the office should help with something. Whether you’re running the show or not, we all have to get our hands dirty sometimes and do some schlepping. Nobody should fell like they are “too above this” to not assist. One thing I pride myself on is helping out with anything from cleaning tables to moving boxes. Heard of the term “All hands on deck?” That means yours too. 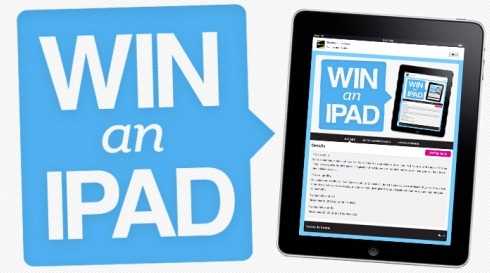 Winning an iPad is always a crowd pleaser! Incentives: There are different goals and benchmarks to achieve when planning an event, and sometimes incentivizing the task allows for quicker completion and more excitement! If there is a tedious task, the pot is always sweeter when there is an offer mixed in such as a half day off, free lunch, or gift card. However you want to incentivize it, be my guest! Also, attendees love raffles, door prizes and anything they can win! Enjoy the tips for this week and feel free to share your own tips!